January 9th, 2018 by Valentina Silva | Posted in: Documentary, Films, Me The Other, Michigan Theater, Shidan Majidi, Southeast Michigan. Here at Zingerman’s, we’re very excited for the soon-to-be released documentary Me, the “Other”. The film follows 12 students from three colleges in Southeast Michigan’s Washtenaw County, including a DACA recipient attending the University of Michigan, an 64-year old trans woman studying social work at Eastern Michigan University, and a son of German immigrants who is living in a multi-cultural community for the first time in his life. We made contributions to this film because we value diversity and inclusion, and we can’t wait for audiences to see it. 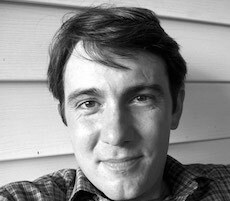 Me, the “Other” will have its world premiere on Monday, January 15 at 7pm at Michigan Theater in downtown Ann Arbor. Tickets are available now and can be purchased here. In the meantime, read this interview with the film’s director and co-producer Shidan Majidi. Zingerman’s: Tell us about the genesis of this project, who are the key players, producers, creative, cast, etc. and how you got involved? Shidan: The project begun as an answer to a prayer. Literally. Around April of last year I was gravely concerned about the state of our world and the growing fear amongst minorities and those marginalized. I felt a sense of helplessness and didn’t know how to get involved or how to become a factor of change. When I get desperate, I don’t give up—I pray. The following day I received a phone call from an old NYC friend whom I had lost contact with from the 90s, Dr. Shahrzad Mirafzali. She reached out to me and asked if I would be able to help with a twin Bicentenary celebration in October 2017. I told her I needed at least two years’ notice for such a massive undertaking and as much as I wanted to help, even a miracle wouldn’t be realistic in such a short time span. I hated letting her down and couldn’t stop thinking about the request believing in my gut that somehow it must have been the answer to my prayer. A month later while walking on the street in NY, I had a “eureka moment”. I thought about creating a documentary film that would put a casting call out to students at these campuses in the hopes of attracting a diverse representation of people who are somehow feeling “othered” in life. The film would chronicle their lives, struggles, and accomplishments. The power and urgency with which these ideas came to me made me realize this idea was inspired so there was a force far larger at play, and I knew in my gut that it would somehow miraculously come to fruition…I believe diversity is a gift to humankind. To unlock the shackles of prejudice is learning how to overcome the fear of the unknown by listening to each other’s heart stories. Instrumental in getting the film made in such a miraculous short time span and ridiculously low budget is my co-producer extraordinaire, Shahrzad Mirafzali. Her belief in me and the project, her undying support, persistent round-the-clock commitment and burning passion to get the message out there has been simply heroic. We were blessed to be showered with an army of mostly local angels and volunteers who continue to come aboard this project. We have amassed a team of over 200 exceptional human beings working on this film as they simply believed in its cause. Ballantines PR, through its CEO Sarah Robarts, donated their expertise and offered their services believing in the greater message of our project. I wish I could mention everyone working on this film by name but the core team that helped me personally in the pressure-cooker deadline of making this film creatively are an uber-talented team of artists including Sloan Inns – Director of Photography, Chad Kremmer – Editor, Levi Taylor – composer of original score/soundtrack, Catherine Chapman – Script Supervisor, and Dino Tsaousis – Executive Producer and post-production Technical Director. Z: What’s your professional background, within and outside of the film industry? 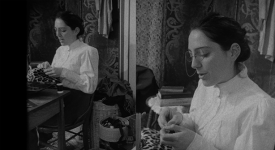 S: I’ve been working in the New York film and theater industries since 1991. As a volunteer at New York’s 52nd Street Project, my awareness for the need for storytelling as a powerful social tool became crystal clear. This after-school theatrical project was offered to inner city youth by giving them the opportunity to express their inner selves by telling their own real-life stories through live theater. The empowerment and confidence-building scope of this program inspired me to create The One People Project—an award-winning conflict resolution-based “Reality Theater Project”, which received critical praise and media attention and was supported by New York City Mayor David Dinkins’ Stop the Violence Program. The success of the project in all boroughs of NYC resulted in a similar spin-off in Toronto, where a television program was produced documenting the effective social impact of this artistic project in a racially-charged and conflicted suburb of Toronto in the late 90s. For the past eighteen years, I shifted my focus towards commercial theater, not only as a means for survival as an artist, but a need to learn from the very best to be able to understand how we can merge socially-progressive artistic projects through successful business models which could have a greater commercial impact (exposure to larger audiences). I was extremely fortunate to be employed by the very best—legendary international producer, Sir Cameron Mackintosh. I’ve since been working on some of the world’s most beloved musicals: Les Misérables, Miss Saigon, Phantom of the Opera, Cats, Mary Poppins; and the recent Academy Award-winning film of the musical Les Misérables, starring Hugh Jackman, Russell Crowe and Anne Hathaway. I was also the Associate Director of the North American tour of Miss Saigon. In 2009 I made my producing debut off-Broadway on the hit musical Yank! for which we were nominated by the Lucille Lortel, Outer Critics Circle, and Drama Desk Awards for Outstanding New Off-Broadway Musical. I believe all of these experiences led me to and prepared me for creating the concept for a documentary film set in the Washtenaw County of Michigan chronicling the lives of 12 students from very diverse backgrounds and how they each triumphantly overcame adversity in these challenging times. 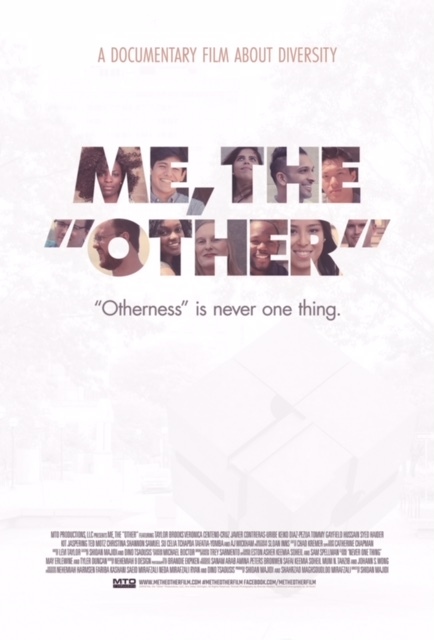 We called it Me, The “Other” and it premieres in Ann Arbor’s historic Michigan Theater on Martin Luther King Jr. Day 2018. Z: What do you think this film’s impact will be? Who’s it for? What can folks expect to see when they watch it? S: We held a screening of the rough first cut of the film several months ago (October 2017) in Ann Arbor mostly for the cast and crew and their friends and family. We had a surprisingly large turn out and provided the audience with a questionnaire. The 200+ responses had mostly one word in common: “inspiring.” If audiences can feel inspired by this film, I can’t think of a greater impact we could ever wish for. The sad truth of the theme of the film is that this terrorizing threat of being marginalized, ostracized, and “othered” in society is a growing universal plague so we would say this film is for everyone to experience and feel although due to the complexities of some of the subject matters, we recommend its viewing for people above the age of ten. I would love audiences not to have any expectations when coming to view the film. This is a small documentary by a first-time filmmaker – it’s a simple, straight-up telling of a bunch of people’s stories. I would say that’s what everyone should expect! Z: How did you find the cast members? What was it like interviewing them for this project? S: We found the cast members through distributing casting notices around all the campuses and putting out the word-of-mouth through student bodies and faculty and whatever local networking was available to us in such a short time span. I was amazed that over forty students responded, and we ended up casting a dozen, which was way too ambitious. My immediate fear was how can we pack so many stories in an hour-long documentary? That would give them on average five-minutes of screen time. Following the interest and encouragement generated post the first cut screening, the unanimous feedback was audiences wanted to hear more about each cast member’s stories and the film felt too short. The final cut lasts 1:33. The interview process was very clear to me but frowned-upon by the academic community. Every time we reached out for help to use the student filmmakers as part of the crew for the creation of the film (an opportunity I would have dreamed for as a former film student), I was asked for a script for approval. My approach to the interviews was very theatrical in a sense. I wanted to discover in-the-moment, real-time responses in the interview process, and besides the initial fact-finding during the screen-tests, I deliberately didn’t do any follow-up research or communicate with cast members until their interview days for the film shoot. I went into the interview without a script and almost zero preparation believing in my ability to create a place of trust where the subject feels safe to open up through a deep and authentic level of communication. It was simply a communication of hearts and I wanted the film to present a level of raw honesty without any artificial/scripted/researched filters getting in the way. It’s that simple so the intended hope was to create a film full of exposed raw spirit and light – my only hope is that audiences will feel that we’ve successfully achieved that. Z: What are your hopes for the future of this project? S: It’s crazy ‘cause in truth, we’ve been actively working on this film for less than six months from pre- to post-production, so we really haven’t had time to focus and plan for the future of the project! However, as I completely believe this project is an answer to a prayer, I believe the same powers are already at play as without a final product, we have already received interest and enquiries from libraries (including the National Public Library of Australia); high schools (including one in New Zealand); at-risk youth groups; religious groups, business corporations (including Zingerman’s, who not only stepped in as a sponsor but also through their department of Community Partnerships and Diversity and Inclusion), I feel like we’re in really good hands to map out a trajectory beyond the premiere screening! Don’t miss this film. Grab your tickets today. It’s Movie Night at Zingerman’s!